Applied Ethics, Inc. was created as an organization dedicated to respond to the significant problems of contemporary society in ways that were ethically sound and practically applicable. Among the many major social issues, none struck us as more important than the dangers posed by conflict and war, and the need for peace. There may be a time when Applied Ethics will house many projects under one organizational roof. For now, however, our focus is almost exclusively on our Pax Populi people-to-people peacemaking program, with our activities concentrated on projects in Afghanistan. While many from the United States and other NATO countries look forward to 2014 as the year when their military mission in Afghanistan draws to a close, for many Afghans the road ahead appears deeply worrisome. Around the world, people are tired of this long conflict. The Afghans feel the same — they, however, can’t just pack up and leave their homeland. Sadly, a small minority of Afghan and foreign insurgents are wedded to the misguided belief that the best means to power is through fear and violence. At Applied Ethics, Inc., through our Pax Populi program, we respond to the ignorance and hatred of war through programs that advance peace through direct, caring, and helpful people-to-people educational interactions. We do this because we believe that kindness, love and knowledge are the strongest antidotes to the violent extremism that threatens people not only in Afghanistan, but everywhere. If NATO, with all its military might, has not succeeded in winning the war in Afghanistan after thirteen years of fighting, some might see it as a sign of naiveté and hubris to think that our small nonprofit organization could be of any help. However, our goal at Applied Ethics/Pax Populi has never been to win a war, but to provide opportunities to people around the world who want to work for peace by lending a helpful hand in friendship. In 2013, our activities were focused especially on refining and developing our Pax Populi Tutoring (PPT) program and advancing our communications efforts regarding our peace efforts in Afghanistan through our website and social media. As explained below, a third important project — the Pax Populi Educational Outreach program —is moving forward thanks to the invaluable independent assistance of a group of concerned friends. In a few words we will summarize some key highlights of our work in 2013 and look ahead to 2014. I want to become a professional engineer [after completing my university studies]… I hope that one day I can work for peace and unity in my aggrieved country. My biggest hope is that this will one day come true. English is my favorite language after my mother tongue, because English is the language of our era and the language of technology…. These days all the useful books for my studies are in English, so I need English more than any other language. This is why I chose the Pax Populi program. It is a light for those students who want the best!!! To help in the development of our work new leaders have joined in both from Afghanistan and around the world. We have a dedicated volunteer Afghanistan country coordinator, a new international coordinator, and new, skillful members have joined our organization’s board of directors. Overall, we are better poised to build on the foundation we have laid in previous years. 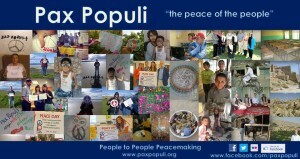 Thanks in large part to Danielle Bonner who is based in Ireland, the work of Pax Populi through our website and social media continues to grow as a place where Afghans and others working for peace can write about their lives and aspirations. 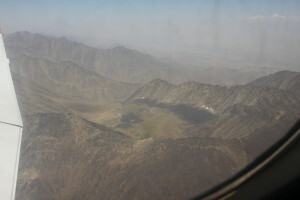 In honor of International Women’s Day, Afghan women and men and several organizations contributed 35 essays to the “Be Inspired” section of the Pax Populi website (see http://www.paxpopuli.org/be-inspired/). More recently, on International Peace Day, we collected messages of peace from Afghan and international peacemakers from around the world (See http://www.paxpopuli.org/voices-for-peace/). And our Pax Populi Facebook page is frequented by people spanning the globe especially from the United States, Afghanistan and Europe. In 2010, through the Pax Populi Educational Outreach program, Applied Ethics/Pax Populi brought Shogofa to the United States to pursue her studies at Salem State University. For family reasons, Shogofa returned to Afghanistan in December 2011, and came back to the US to resume her studies at Salem State in September 2012. We are pleased to say that through the active, loving support of a group of friends, Shogofa has transferred to a private college in the United States from which she has received a sizeable scholarships that has been supplemented by funds raised by dedicated friends. We are very proud of Shogofa for the remarkable progress she has made in her studies and we are grateful to the generous supporters whose help made these developments possible. Afghanistan’s way forward is challenging and complex. Many informed observers expect that with the reduction in NATO forces, violent extremists may escalate their attacks around the country. Adding to the uncertainty, Afghanistan will hold presidential elections in April 2014, and the outcome is likely to have a big impact on the country in ways that cannot be predicted. Economically, while Afghanistan remains a poor country, its development since 2001 has been exceptional. In 2012, Afghanistan was listed as the third fastest growing country in the world. Sadly, it is also seen as one of the world’s most corrupt countries. The investments by so many countries in Afghanistan in terms of money and human lives has been so high that many Americans and citizens from other countries would like to exit Afghanistan and have nothing more to do with it. This view is misguided. Innocent Afghans are being blamed for the violence of a small minority. Until Afghanistan stabilizes, Pax Populi’s work will not be done. To give up on Afghanistan after so much sacrifice and work would be a tragic mistake. We are pleased by the progress Pax Populi has made in 2013. We feel an urgent need to significantly develop our work in 2014 both in terms of quality of our programs and the numbers of participants involved. We have talented, dedicated supporters who are ready to give their time and skills. However, in order to better deliver on our peace through education mission, we need to greatly improve our technological capacities. We are honored that three professors of computer science are providing guidance to help Pax Populi to develop online management systems. Although international volunteers and Afghan partners are the heart and soul of Pax Populi, we also need the help of paid professionals and internet services, and these require funding. Can you help? Any support that could be given would be enormously valuable and deeply appreciated. To donate please click here. With your help, we will continue our work for peace in Afghanistan and elsewhere and together we will do what we can to make this a safer, kinder, more understanding and peaceful world. We wish you all a healthy, happy, and peaceful new year.